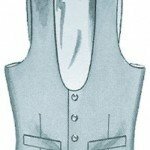 Waistcoats are traditionally the third piece in a gentleman’s formal suit – matching the jacket and trouser or as a contrasting colour. 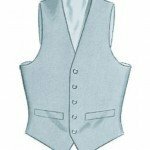 For a more modern dress down style, classic waistcoats can be teamed with casual trousers or jeans. 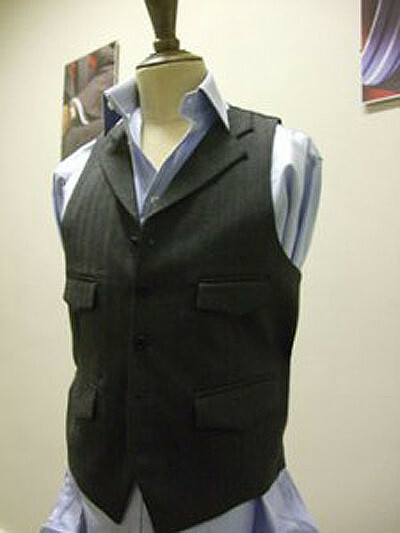 Double breasted waistcoats with a slim finish and soft cloth can bring a certain style to any occasion. 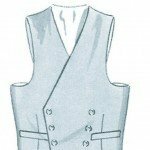 There are all kinds of configurations for the buttons on a DB waistcoat but eight (pictured here) is the most versatile and flattering. 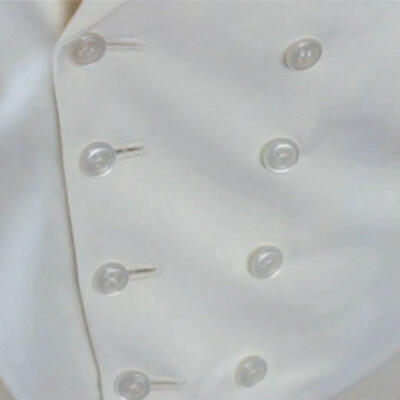 There is also an opportunity to add a lapel too: notch, peak or shawl – no rules, just preferences. 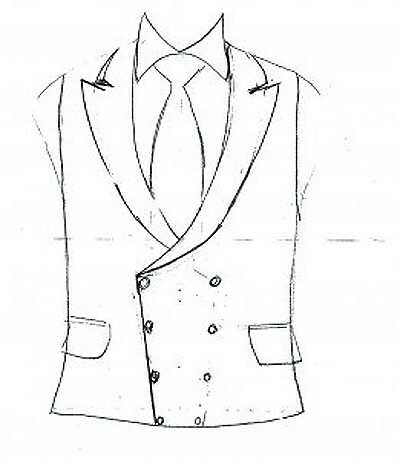 Having said that peak lapels can add some angles (and some attitude) to the occasion. Made and cut in England. 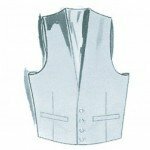 As with every waistcoat we make, unless you choose our Express service, the waistcoat will take 8-9 weeks to make – we have a half way baste fitting and then a forward baste fitting before the waistcoat is finished and delivered. This is a pure wool from Holland & Sherry. We have a huge range of cloths to choose from – including wools, cottons, silks and linens … and colours too! 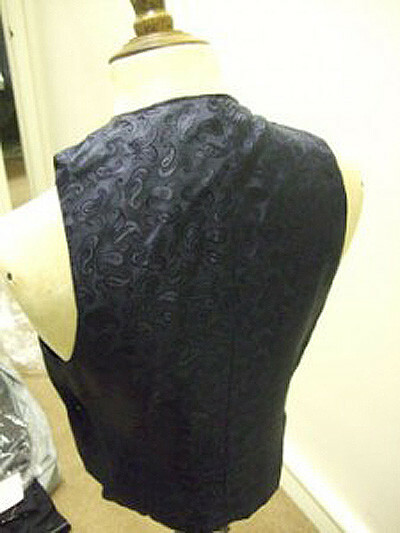 Bespoke Mens Waistcoats and Tailored Wedding Waistcoats. 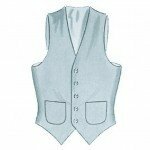 Henry Herbert Tailors make stylish bespoke mens waistcoats for weddings and other special occasions. 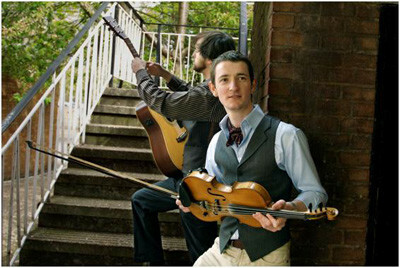 Call 020 7837 1452 or ask us to visit you with our visiting service. 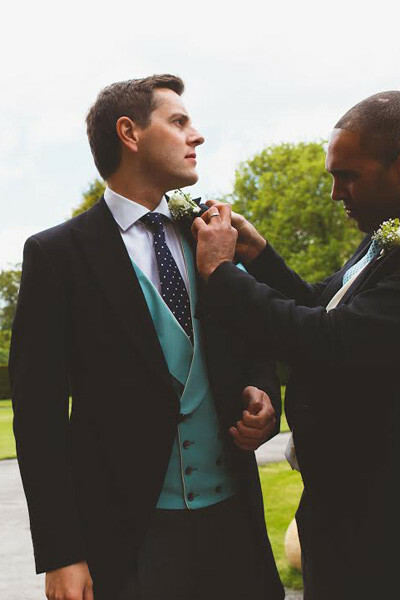 Our London cut is stylish and elegant and our London tailor's make perfectly tailored wedding waistcoats and bespoke waistcoats for special occasions. Best served with a bespoke suit!